The counting day for delhi legislative assembly election 2015 is 10 february. The results of delhi elections 2015 is expecting at morning. all the major channels in the nation will be air the live coverage of the same. in kerala all the malayalam news channels are telecasting the live results, discussion of the delhi elections results. 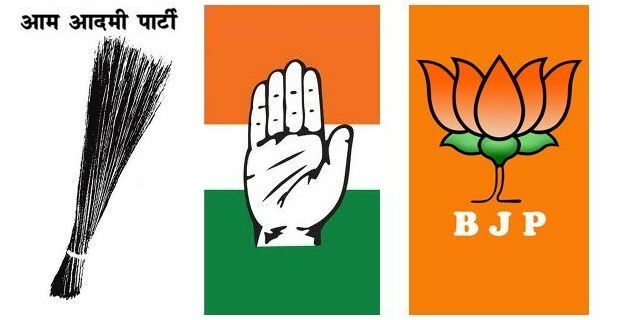 main contest is between bjp, aap and inc. Arvind Kejriwal is the leader and chief minister candidate for aam admi party. He was the former chief minister of delhi and he resigned his position. Kiran bedi (former aam admi party leader) is the bjp’s candidate for delhi. she was a former aap leader and resigned from aap and joined bjp. ajay maken is indian national congress leader for the 2015 delhi elections. this time the battle is between bjp and aap. all the exit poll surveys predicting aap will be get more seats. in the last delhi elections aap got 28 seats and inc adjusted with 8 seats. bjp was the party with most number of seats 31, but aap + inc alliance ruled delhi for few days. All the major malayalam news channel like asianet news, indiavision live, kairali people tv, reporter tv, mathrubhoomi news, media one, manorama news will air live election results of the delhi 2015. the online results of the delhi 2015 election results can be watch through the live streaming of these channels. you can check the links of the channels from here. congrats aam admi party, congrats kejriwal.